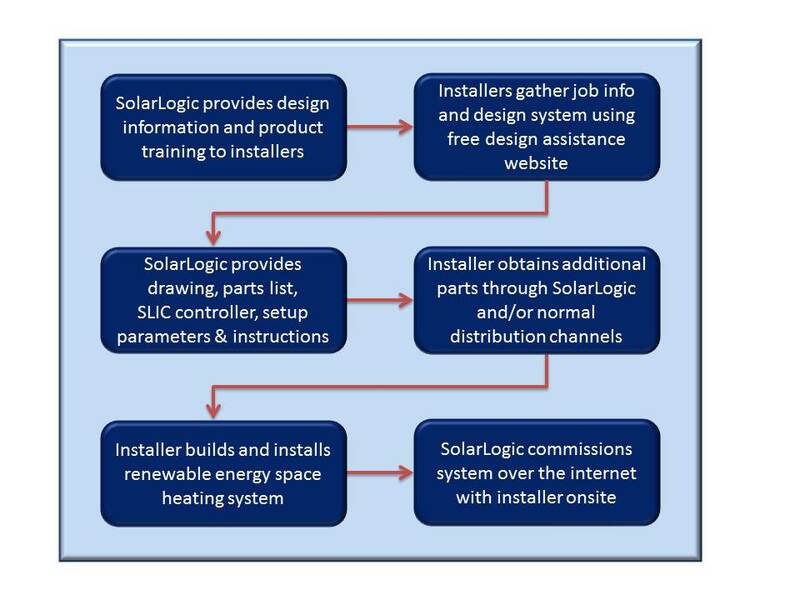 SolarLogic, LLC | Now a division of Amenergy Inc.
AllTherm/SolarLogic was founded in 2008 to make decades of renewable energy hydronic heating expertise available in product form. The company’s principals have been involved in specifying, designing and installing thousands of renewable energy systems – and we are well aware of the challenges to offering cost-effective integrated renewable energy heating to customers. AllTherm provides design and control for hydronic heating and cooling systems with one or more of these sources: conventional boiler, solar thermal, geothermal, wood or biomass boilers, stoves and fireplaces, and waste heat recovery. These sources can provide for hot water, space heating and cooling, pool and spa heating, ice melts and process heat. Our flagship products, the SLASH-D and the SLIC, are the outcome of decades of field and design experience in solar thermal space heating systems. Our design and control solutions operate an entire multi-source, multi-load hydronic heating system. Essentially, we’ve removed the burden of complex design, controls, wiring and programming from the installer. Our SLIC systems are far more reliable and intelligent, with unsurpassed energy performance. We offer a plug-and-play method that is both simple and sophisticated. Our SLIC controller is enhanced with intuitive web-based monitoring, analysis and diagnostics as well as the ability to control the system remotely. A successful installation is inevitable when our SLASH-D and SLIC are in the hands of trained installers – and we provide the training.